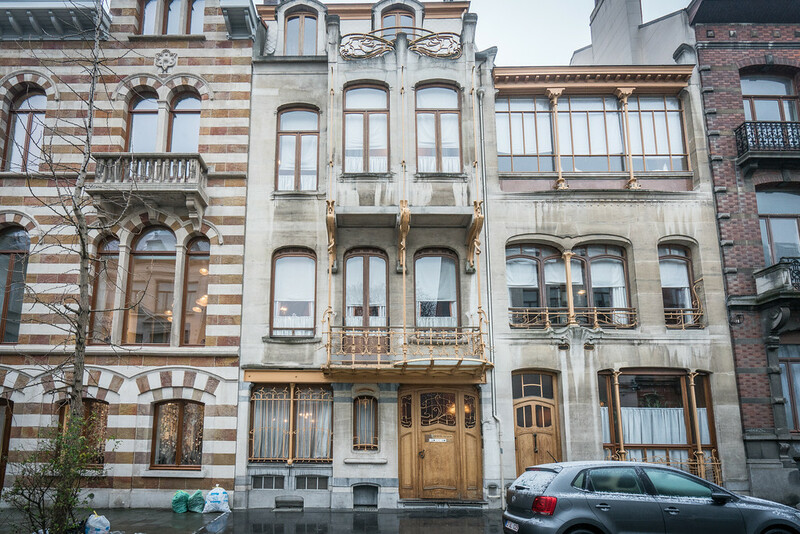 The Major Town Houses of the Architect Victor Horta – Hotel Tassel (1893), Hotel Solvay (1894), Hotel van Eetvelde (1895) and the House and Workshop of Victor Horta – located in Brussels, are outstanding examples of Art Nouveau. These four houses, that bear testimony to the immense talent of this Belgian architect, achieve a remarkable sense of unity with meticulous attention to the smallest detail of the building, from the door handle or bell to the last piece of furniture. Horta, one of the earliest instigators, heralded the modern movement of Art Nouveau architecture. The stylistic revolution represented by these works is characterized by their open plan, diffusion and transformation of light throughout the construction, the creation of a decor that brilliantly illustrates the curved lines of decoration embracing the structure of the building, the use of new materials (steel and glass) and the introduction of modern technical utilities. Through the rational use of the metallic structures, often visible or subtly dissimulated, Victor Horta conceived flexible, light and airy living areas, directly adapted to the personality of their inhabitants. The principle of a double house connected by a glass-covered circulation area is adopted for the Hotel Tassel and the Hotel van Eetvelde. This area, that generally contains a winter garden, is enchantingly represented at the Hotel Solvay, the most ambitious and spectacular work of Horta in the Art Nouveau period. The staircase of its house-workshop is decorated and enjoys this type of particularly elegant arrangement. The interior decors benefitted from surprising inventiveness, with the motifs flowing smoothly from the mosaic floor to the painted walls, including the wrought ironwork and the custom furniture. I have no idea why this is a world heritage site. This is in the running for the latest world heritage site I have ever visited. There didn’t seem to be anything special about the houses in question. The only thing I could think of was “why isn’t there a world heritage site for Frank Lloyd Wright?” The house in the photograph is Hotel Tassel. The Major Town Houses of the Architect Victor Horta is a collection of four houses within the city of Brussels, Belgium. 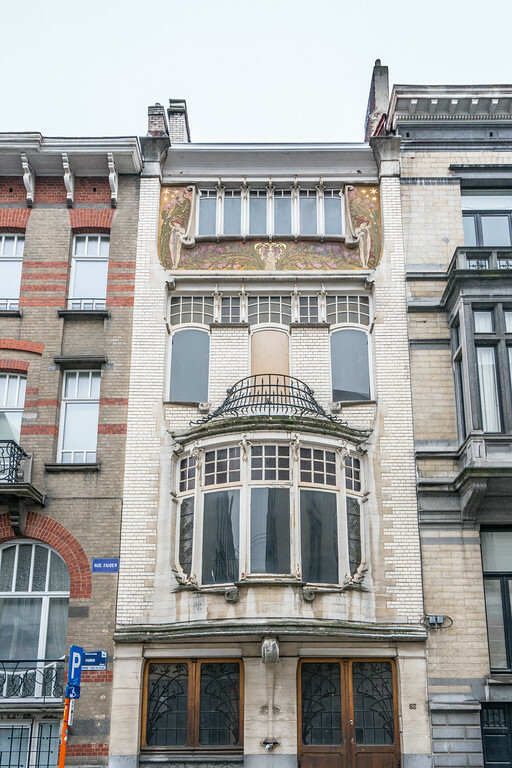 All of these four houses were designed and built for by Belgian Architect Victor Horta. Victor Horta is the pioneer of the Art Nouveau style of architecture during the late 19th century in Belgium. Hence, these architectural features were considered of cultural value and have led to it being named as one of the UNESCO World Heritage Sites in Belgium in 2000. However, these houses represent more than just an architectural feat – a sight for the eyes. It is also a reflection of the different stages in the history of Brussels. These houses were built and developed at an important time in the architecture of Brussels, which is the end of the 19th century. It sparks the Art Nouveau movement not just in Belgium but in the world over. There are four houses included within the UNESCO property Major Town Houses of the Architect Victor Horta. Hotel Tassel: This hotel is located in 6 rue Paul-Emile Janson in Brussels, and was commissioned for by Professor Emile Tassel in 1893. It is considered the world’s first Art Nouveau building. It was the first building the Architect Horta made that did not have any references from historical styles. It was completed in 1894. Hotel Solvay: This massive Art Nouveau townhouse is another work by Architect Victor Horta in Brussels, Belgium. It was commissioned for by Armand Solvay, who is the son of a wealthy man in Brussels. This building exhibited Art Nouveau details not just in the façade and exterior but also the interior, that included even the carpet, light fittings, and tableware. Hotel van Eetvelde: This townhouse was designed by Horta in 1895 and was completed in 1900 for Edmond van Eetvelde. This building is most notable for its use of industrial materials that included glass and steel. That was a novel idea for private dwellings at that time in Belgium. 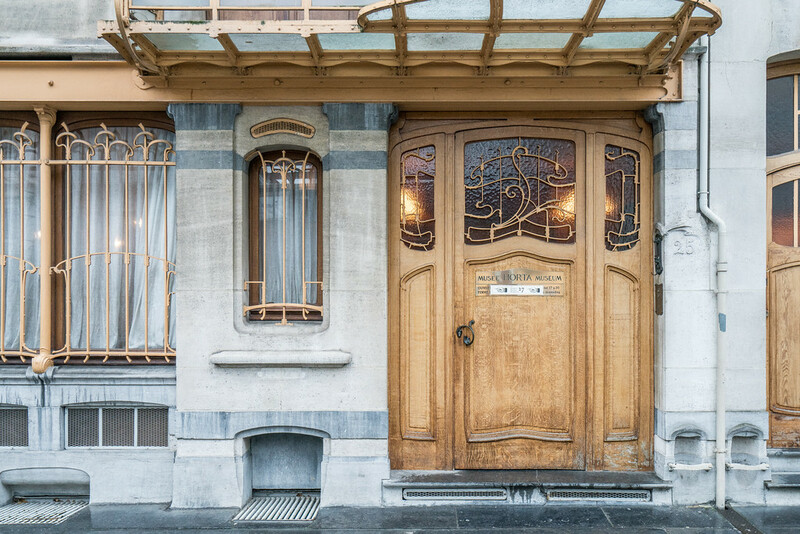 Maison et Atelier Horta: This is the final property that is comprised within the UNESCO property featuring works by Architect Victor Horta in Brussels. This building has now been converted into the Horta Museum, which is dedicated to the life and work of the architect. This was the former house and atelier of the architect himself. In here, you will find art objects, furniture, and utensils that were used by Horta himself. 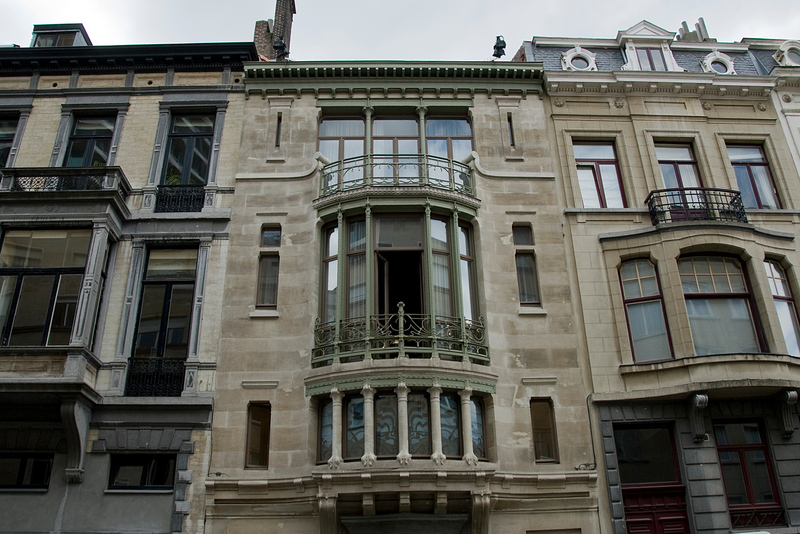 There are so many reasons to visit the Major Town Houses of the Architect Victor Horta in Brussels. However, if you are an architectural buff, you will be in awe by the works of a human creative genius. The houses that are included in the property represent the highest expression of the Art Nouveau style in architecture and the field of arts. Meanwhile, these houses that were built during the end of the 19th century marked the evolution of architecture. It paved the way for modern architectural styles to follow as the townhouses in Brussels introduced a radical new approach to architecture that wasn’t seen before. Plus, FLW came after Horta. Horta was a contemporary of Sullivan, FLW’s mentor. But if you want to see some really spectacular examples of Art Nouveau architecture that you can actually go into, the Gaudi works in Barcelona or the Hector Guimard Metro stations in Paris or Charles Rennie Mackintosh in Scotland. Also, Word Heritage sites in North America tend to be natural whereas the ones in Europe tend to be man-made, so if FLW had’ve been European, his work might be World Heritage, or else if Illinois was its own country (size of Belgium). You need to go inside Horta’s buildings to really appreciate them. The use of light and space is incredible. If you get a chance, visit the Horta Museum.